What can I deduct? Do I bring receipts to my accountant? Is my art a business or a hobby? What is a Schedule C? How do I deduct my home studio? How does the new tax bill (“Tax Cuts and Jobs Act” or TCJA) affect freelancers? 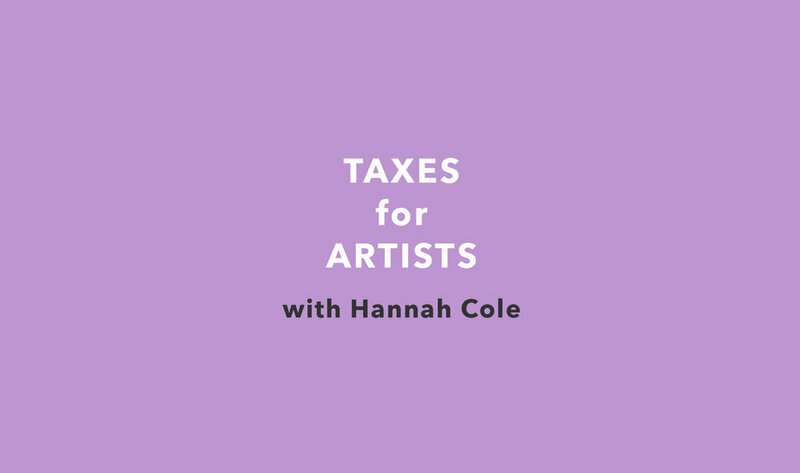 Hannah Cole is a tax expert who specializes in working with creative businesses and artists. A long-time working artist with a high-level exhibition history, the financial challenges of freelancers and small creative businesses are both relevant and personal to Hannah. Her specialty is communicating complex tax issues in a clear, artist-centered, empowering way. She will explain the basic tax equation, keeping good records, and tax issues specifically relevant to new artists, followed by a question and answer period. Hannah Cole is an enrolled agent and the founder of Sunlight Tax.